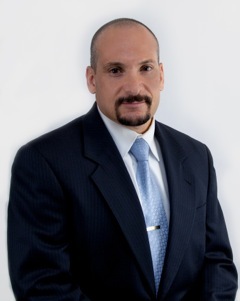 Mr. Daconta is the Vice President of Advanced Technology for InCadence Strategic Solutions where he currently guides multiple advanced technology projects for government and commercial customers. Mr. Daconta is a well-known author, lecturer and columnist having authored or co-authored 11 technical books, numerous magazine articles and online columns. He also writes the monthly “Reality Check” column for Government Computer News. Previously, Mr. Daconta was the Metadata Program Manager for the Department of Homeland Security where he spearheaded data standardization, stewardship, and metadata registration. He was selected by the Office of Management and Budget and the Federal CIO Council to lead the Federal Enterprise Architecture (FEA) Data Reference Model (DRM) Working group which successfully delivered DRM V2.0 in December 2005. In conjunction with the Department of Justice he launched the National Information Exchange Model (NIEM) to provide a reusable set of core XML components for building exchange packages. For his work at DHS, Mr. Daconta was selected to the prestigious “Fed 100” by Federal Computer Week magazine. Other past assignments include the Chief Architect of the Defense Intelligence Agency’s Virtual Knowledge Base Project and designer of the electronic mortgage XML standard for Fannie Mae. Mr. Daconta recently was awarded patent #7299408 by the USPTO for his electronic validator he invented for Fannie Mae. His previous book is entitled, “Information As Product: How to deliver the right information to the right person at the right time” His other books cover the Semantic Web, XML, XUL, Java, C++ and C. His current book is entitled “The Great Cloud Migration: Your Roadmap to Cloud Computing, Big Data and Linked Data”. He earned his Masters degree in Computer Science from Nova Southeastern University and his bachelor’s degree in Computer Science from New York University.